The saga of the car's registration was something of a demotivating factor, and the actual restoration of the car progressed rather slowly. The only real work done during the first few years, while the registration saga dragged on, was the removal of lots of bits, some of which I labelled and boxed up carefully, and many more of which I didn't. It didn't help that the car remained in Nottinghamshire, when I went to university near London (1992-1996) and then stayed down south to work. This left only weekends at my parents' house to work on the car, and with my other hobby (the Great Central Railway) being an entirely more sociable affair than being stuck in a garage on my own, plus not having vast sums of money to spend, the car rather took a back seat. A lot of people thought I would never get the car finished, and for a while I started to believe them myself - but I don't give up that easily. I continued to strip down the car, and to de-rust and prime the areas where serious welding was not required, but it was apparent that there was a LOT of work to do, and once I had enough money saved up after working for a couple of years, I decided that the only way the car was going to get back on the road anytime soon was if I threw some money at it and got the bodywork repairs done and the engine rebuilt. I discussed this with a neighbour who, at the time, ran a classic car restoration workshop (he's since retired, else I'd recommend them). 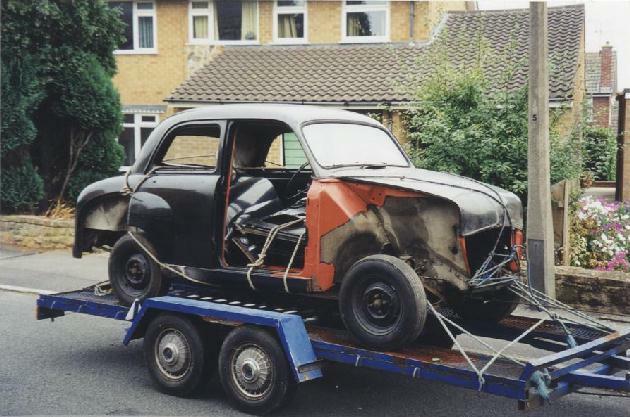 He agreed to tackle the bodywork, so once I'd taken the engine and gearbox out of the car (or rather, taken the car off the engine and gearbox), the car was trailered into Loughborough, looking rather sorry for itself, in September 1999. My father and I removed the engine, replacing the front suspension unit afterwards. The home-made engine stand was an interesting little project in its own right! The shell was then trailered into Loughborough for bodywork repairs. 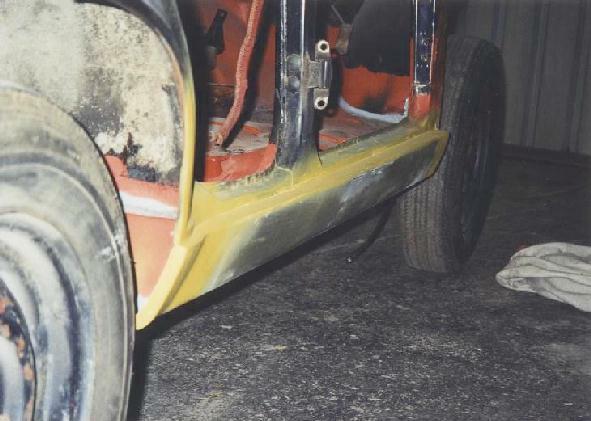 Over the next year or so, the car received two new sills, and new sections were made up and welded into the floor, the bottoms of both of the front wings and all of the doors, the bottom edge of the window space of one door (the rear offside one; it had moss growing in it and was really rotten), and the front edge of the bonnet. Not to mention the hidden recesses of the back wheelarches, and the A-posts where the front wings bolt on. 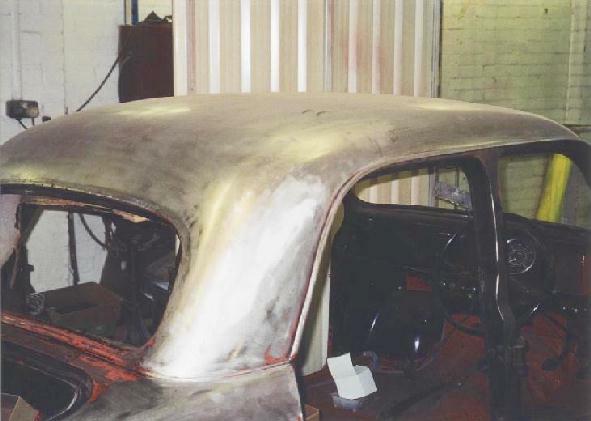 Numerous knocks and dents were also sorted out at the same time (years of storage had not been kind to it), and the car was then rubbed down to bare metal and totally resprayed. 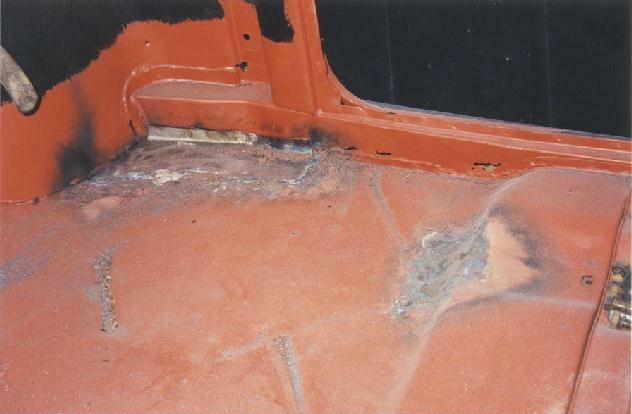 Both front floor areas needed welding; this is the drivers' side. ...And a new piece was made up and welded into place. New sills were fitted - though they were not a good fit, and the fiddly bits off the old sills had to be repaired and re-used. 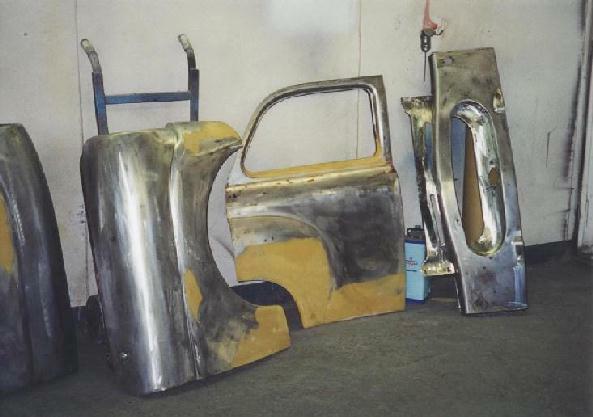 The bodyshell was stripped to bare metal for re-spraying. ...As were all of the other bits. 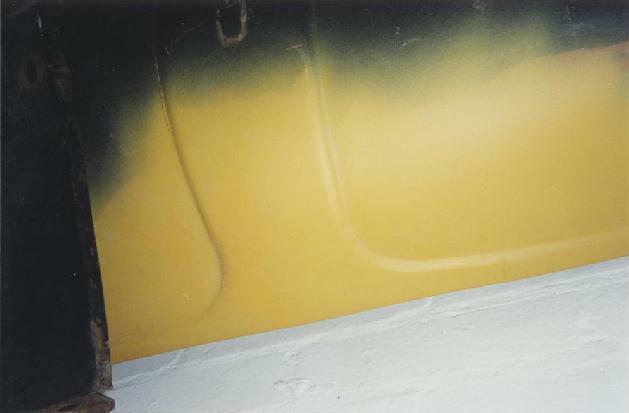 The yellow primer indicates areas which had been repaired. I must confess I was slightly disappointed with the paintwork. I had wanted to go for the original type cellulose paint, but I was persuaded to use modern two-pack on the basis of it being more hard wearing and easier to spray. All of which is fine, but I don't think it has quite the same deep shine which you'd get from several layers of cellulose. It also suffered a few little scratches and chips here and there; I suppose this was inevitable for a car undergoing a total rebuild (I caused a few myself! ), but it all means that the finish is less than perfect, though I do have some of the same paint for touching-up purposes. As fate would have it (I hesitate to use the word 'luck'! ), the car suffered two accidents during its first year back on the road, which led to the offside front wing and rear panel being repaired and re-sprayed a second time. At the same time I had two of the doors re-done - one because the paint finish just wasn't good enough, and the other because I badly scratched it putting the door handle on. The boot lid was also re-sprayed after I dropped something on it! The rest of the car is presentable enough for now, but I'm still not happy with one door, the roof and the other front wing... maybe one day I will have the whole car re-sprayed again. 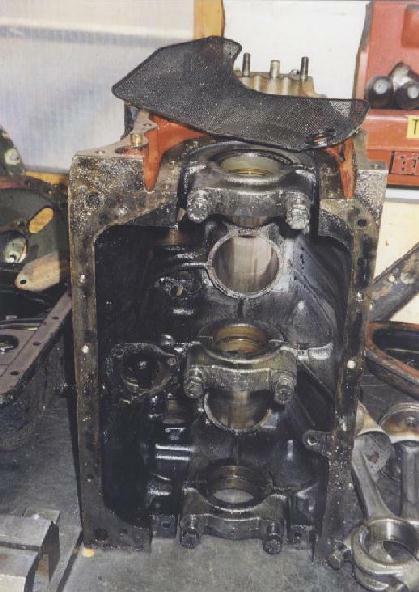 As for the engine, the neighbour restoring the bodywork recommended a firm called S.E.P., in Kegworth, better known for their work on motorcycle engines but they had worked on his classic car engines and they agreed to tackle the job. They seem to have done a nice job, I'd certainly use them again. The engine has had a total strip down and rebuild, including a rebore, new pistons, big end bearings, new timing chain and clutch. This much I know as I have a pile of old bits, but I don't have a complete list of the work done - I never thought to ask for one! 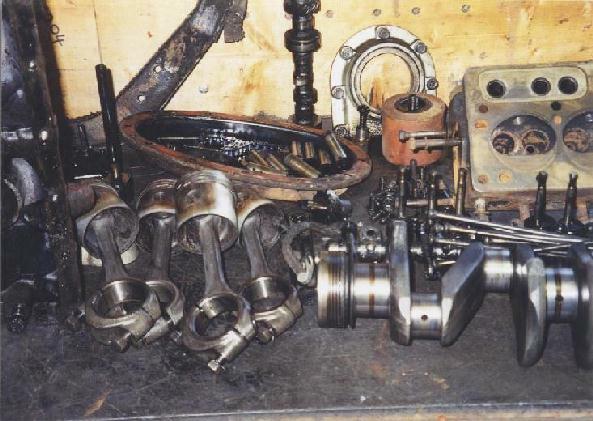 I also had the engine converted to run on unleaded petrol, so it must have received hardened valve seats; I would imagine that the valves and valve guides were changed at the same time, though I don't have the old ones to prove it. 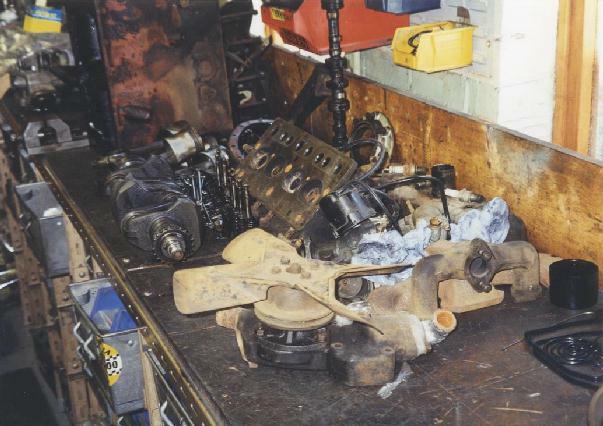 Once it was finished, I took the engine to Loughborough to be re-united with the rest of the car (on the basis that it was an awkward enough job to take it out, and I didn't want to be responsible for scratching the new paintwork putting it back in). I cleaned the gearbox up myself but I haven't stripped it down, and having now driven the car it has turned out to be fine. This went back into the car at the same time as the engine. My neighbour also had contacts with a trimmer, who made and fitted a new headlining (it's excellent) and replaced torn vinyl on the seats. I opted to leave the original material on the backs of the seats, although slightly damaged, because I couldn't locate any matching material. The car returned home in late 2000 (I think!) looking a lot smarter, but there remained much work to do. Once I had the car at home, I spent some time making excuses about the garage being too cold before eventually biting the bullet and getting on with the job - but once I got into it, I really enjoyed seeing it all coming back together. There was still plenty of work to do though! In 1956 there seem to have been some revisions to the design, in particular with respect to the brakes, and I believe that later cars have a lot more in common with the Triumph Herald. Mine is a 1955 model, so I had quite a bit of trouble sourcing some of the parts required (though I suppose it is pretty amazing to be able to get anything really). 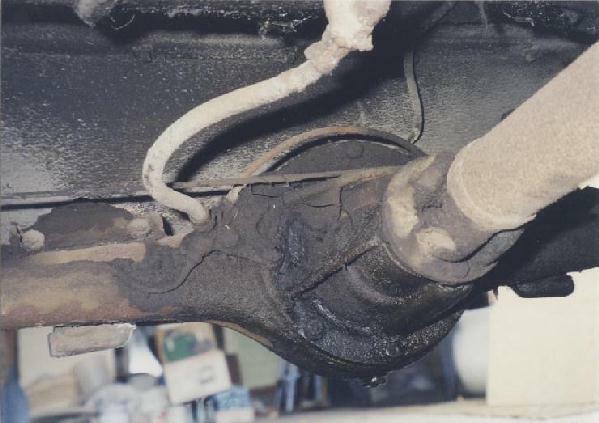 When I bought the car, the hydraulics (brakes and clutch) were seized. 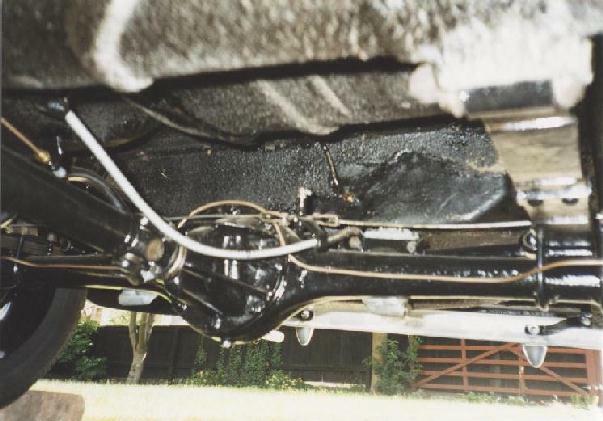 I bought new master cylinders (both the same as a Triumph Herald clutch cylinder), refurbished the slave cylinders (not the same as anything else on a pre-1956 car like mine), and had new brake pipes made up. One pipe took three attempts due to my inaccurate measurement of the old ones. All of these bits then found their way back onto the car. New rear brake shoes were the same as those on a Reliant Robin and came from Halfords! The front shoes are more of a problem, I got a set through a member of the Standard Motor Club, but the first set turned out to be left hand only so they had to go back. We eventually sorted it out though and the brakes now work, just needing final adjustment. I believe the front shoes are the same as those on a Triumph GT6(?) except that they have an extra hole in them, which needs filling with weld or the rest pin on the Standard Ten wheel locks into it and the brakes jam on, apparently. While the brakes were in bits I took the opportunity to clean up and repaint the back axle, and it now looks extremely smart. The propshaft had similar treatment, though no doubt the bottom of the car won't stay shiny for long once it's back on the road! © P. Hetherington 05.06.99. 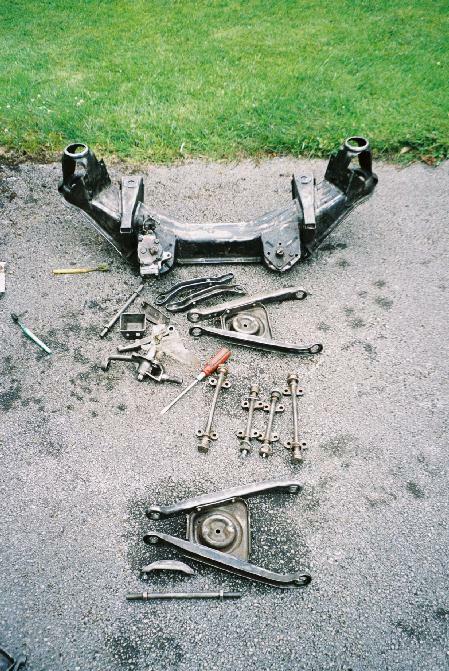 'Before' and 'after' pictures of the back axle, differential and propshaft. I couldn't find any of the 'ties' to clamp the brake pipe along the back axle though, so I've left them off. At this stage I didn't do anything with the front suspension, partly because it seemed like a big job and partly because I didn't have all of the parts required. So I just greased it up and hoped for the best - and in fact the front suspension unit turned out to be good for another 4000 miles before any serious work was required. I've had the bumpers and front grille surround (known as a 'moustache') re-chromed by Derby Plating, not the cheapest but they look superb (they also straightened the bumpers first - they'd taken quite a few knocks!). They also tried to re-chrome the front grille, but as it's made of die-cast metal and was in very poor condition it didn't take kindly to the chroming process, so in the end I opted to buy a good second-hand grille, which was probably a cheaper option too. I didn't get any of the other bits of chrome done at this time, although they were a long way from perfect. 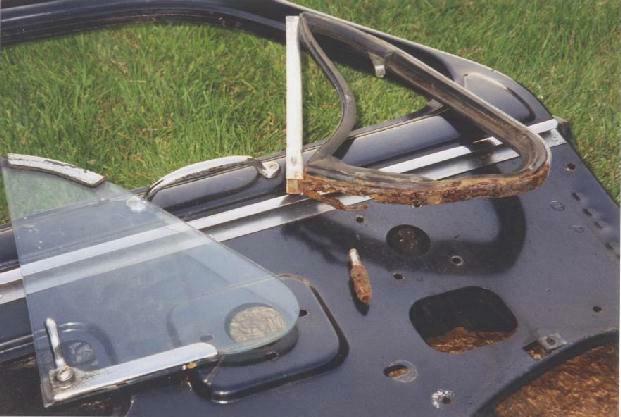 The biggest 'eyesores' were the bonnet and boot hinges, and the door handles; again these are made from soft die-cast metals which are difficult to re-chrome. Initially I replaced the hinges with Triumph Herald hinges which have the same part number but are actually the wrong shape; later I was able to get 'new old stock' replacements for the worst of mine and I had two of these and two originals re-chromed. The originals had severe rot drilled out and were built up with new metal before chroming, and the end result is superb. Derby Plating again tackled this work, and I had the door handles done at the same time. I received the doors back, with the panel work and spraying all done, but in a dismantled state. I think it is fair to say that putting the doors together is the most complicated job I've come across on the car. The first thing to go back into each door is the quarter-light, but the channels surrounding them had rotted quite badly - two of them had virtually disappeared along the bottom where water had got trapped between them and the door. I enquired about getting new channel, or even having it made, but to no avail. At the same time I enquired about quarter-light rubbers, all four of which are different; each would cost thousands of pounds to make as no tooling is available. At this point the Standard Motor Club came to the rescue, as I was able to buy some spare second-hand doors with good quarter lights. Between these and my original doors I have managed to make up four good quarter-lights. I also discovered, in dismantling the spare doors, an interesting design modification. My doors had a continuous strip between the inner and outer skins of the door, which is why water got trapped. The later doors which I dismantled had just two small pieces of this strip, the rest having been dispensed with. In the workshop manual it says that you need to take the quarter-light pivot to bits from inside the door before removing the quarter-light; I know from bitter experience that this is an horrendous job, and all four of the pivots sheared off (some more reluctantly than others) before I could get the quarter-lights off. On the later doors none of this is necessary, as the quarter-lights are held in by just two screws and can then be pulled out. A much better design, and my doors have been suitably modified to allow the pivot to be assembled before putting the quarter-lights back into the doors. I also had to make some new pivot bolts; the originals have a rather strange T-shaped head to fit inside the quarter-light edge piece. I got some equivalent bolts but had to grind down the head to fit; not as good as the originals but they'll work. The next job on the doors was the window channels. Most of these only needed cleaning, painting, and new felt, but the ones from the rear offside door (by far the worst door when I bought the car) had rusted through in several places - fortunately mostly out of sight, though a couple of places would show. A friend tried welding them for me, but that was too fierce and made matters worse. In the end I managed to braze up the holes, though they put up a good fight. I then needed to track down some obscure bifurcated rivets to fix the felt into the channels with. Next on the list are the draught strips along the bottom edge of the winding window. I bought some new draught strip, but this needed cutting to length and fixing onto the original backing pieces, not all of which were in a re-usable state. I managed to get enough good ones out of the spare doors, and I've painted them in an attempt to stop them rusting quite so quickly, and again needed to get some bifurcated rivets (a different size) before I could put them back together. Incidently, the later ones seem to have been galvanised, and used smaller rivets of a different type. With all of the bits ready, I set about re-assembling the doors. There are some fairly detailed instructions in the workshop manual, which need to be followed carefully as the front and back doors go together slightly differently. In particular the window winding channel points inwards on the back doors and outwards on the front doors (I think that's the right way round), so don't do what I did and put the wrong glass in one of the doors and have to take it all to bits again, it's very frustrating! One of the back doors had received extensive welding including a re-construction of the outer bottom edge of the window space. The draught strip clips to a strip inside the door, and this has been replaced with a new strip of slightly the wrong size; this means that the inner and outer draught strips didn't quite line up on that door. I've got round this by having the draught strip and mounting strip not quite lining up, but this means the clips aren't gripping so well so it's not ideal. One to beware of if rebuilding a door. With the back doors, the final window channel has to be slid up between the window and the quarterlight with the window in the raised position (though once you get it started the window can be lowered a bit, which helps). I say slid, but in my experience they don't want to go in and need belting repeatedly with a very heavy hammer. Needless to say, my careful brazing was probably a waste of time as that edge was a lot softer than the original and didn't take kindly to being hammerered. But at least it won't show! The other problem I had with window channel, was that the two pieces in one of the front doors didn't fit together properly at one of the corners. On further investigation (including comparison to the channels from the scrap doors I have), I discovered that the piece across the top of the door was about quarter of an inch too long, and I had no choice but to cut a bit off it, after which it went together quite happily. I don't really understand this as it was the original channel going back into the original door, but it must have been wrong when it was first built and how they got it to fit I have no idea. All four doors eventually went back on the car requiring just handles, locks and rubber seals to complete. I would certainly recommend putting all of the glass back into the doors with them off the car and laid out flat (in my case, on the bed!). I can't imagine how I'd have done this with them on the car. Once the glass is back in the rest is easy. © P. Hetherington 08.07.02. Another interesting 'discovery' was that there are at least three generations of door lock mechanism - the oldest being to the right of this photograph. One of my originals had a broken spring, so in the end I replaced part of it with part of one of the newer ones, but retained the original arm for absolute authenticity. No doubt the occasinal spider which gets inside the door will appreciate my efforts! 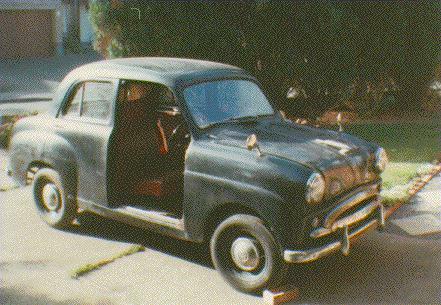 The only problem I had with actually fitting the doors was getting them adjusted properly; the best solution would have been to have left the hinges on the car (as opposed to on the door) as this would have avoided losing the original adjustment. Having said that, I had to add a couple of spacer washers where the front door hinges go into the body (held with superglue before the screws went in! ), as the front door hinges were bent (how, I have no idea) such that when the innermost hinge was tightened, it pushed the door forwards so it wouldn't shut properly. Anyway, they went on eventually. The back wings bolt on and were straightforward enough. I tried to get new wing piping but the stuff I was sent had the wrong diameter beading. I daresay you could get the right stuff but in the end I re-used the original. The only problem I had apart from that was that the bodywork people had lost (or, I now think, hacked with an angle grinder!) the peculiar little clip which the bottom wing screw goes into. This could have been replaced by a nut and bolt of course, but I got a replacement off a scrap Standard Ten which is stored locally (with the owner's permission of course). The front wings were a whole different ball game. First, some of the fixing bolts were missing, and as they have an acme thread they're quite hard to come by. Initially I tried screw manufacturers but they only sell them by the hundred; eventually Moss came to the rescue as they have them in stock and sell them individually. Next, the spire nuts. The ones on the front wings are a funny size but you can get ones which fit exactly (although a slightly different shape; possibly a better design actually). I got a pack of 12 from an autojumble thinking I needed 3 spares; in the end I wish I'd replaced the lot because I broke another 9 in the process of fixing the wings and front panel on, and was getting a bit nervous as I don't know the name of the company I got them from. And also, some of them are inaccessible with the wing on so when they break, the wing has to come off again. Neither of the front wings was a good fit. One needed a large lump grinding out on the inside of the curve where it fits against the inner wing (I think this was a lump of weld left over from the repair work), then I couldn't get the bottom two bolts to go in the holes and had to take the wing off and start again from the other end. On the other one, the bottom two holes weren't a problem but one of the top ones was. They both went on eventually with a lot of persuasion and a bit of swearing. Originally there was a strip of some card-like stuff between the front wings and the inner wings; I used a rubber strip instead and stuck it on with silicone sealant, whether this is a good idea remains to be seen but I think it worked fairly well. A new wiring loom came from Autosparks of Nottingham, and they got it wrong! The loom supplied was for a much later car, and it seems that quite apart from the horn being on the opposite side, later cars had a few wiring modifications, with many components being wired up differently. To their credit they replaced the incorrect loom quickly and at no further cost to me, and the final loom is excellent, so I'd certainly recommend them, but I suggest sending a wiring diagram and/or the original wiring loom when ordering. And beware of obscure specification differences between your car and the wiring diagram in the workshop manual. Mine, for example, has a main beam warning light, which isn't in the book. The first loom they supplied also had an in-line fuse which, the more I think about it, the more I think it's a silly idea. With just the one fuse feeding everything (including the ignition coil), if say a headlight causes an earth fault, it means the engine will stop. So, I got them to leave this off the replacement loom, but instead I'm going to put some fuses on individual accessories by hiding them behind the dashboard. Hopefully this will give some added protection without spoiling the appearance of the car. 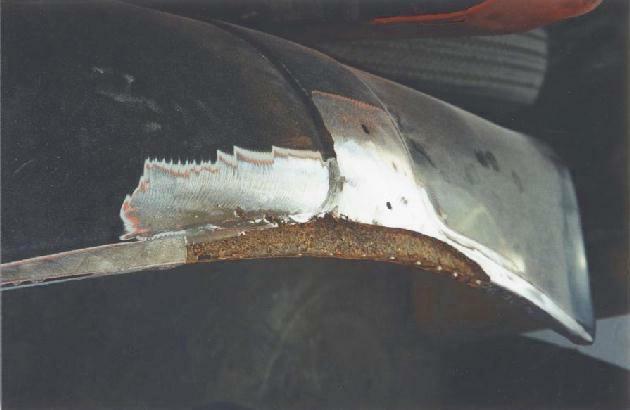 A new stainless steel exhaust came from PD Gough near Nottingham. I can't say it was a perfect fit, because I had to bend it, bash it, and saw a bit off to get it to go on the car. But it's well made so I'm sure it'll last now it's on. They also do a fitting service and I think that would make a lot more sense as they obviously have the right equipment to do any 'tweaking'. I also needed to replace one of the original mounting brackets with a longer 'strap' - miraculously available from Halfords in exactly the right length - as the new exhaust is a different shape and sits further from the floor at the point where the middle mounting bracket is attached. I had the radiator and carburettor overhauled by a firm near Derby, and these eventually went back onto the car along with a new oil filter, and the original air filter which I cleaned up, swilled out and painted. 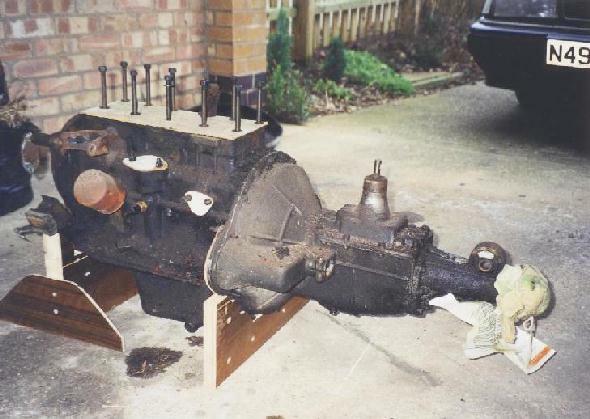 The starter motor had been refurbished by my Dad in the early days, now I painted it and refitted it (which incidently is an extremely awkward job - I'd recommend fitting it before putting the engine back in). I did a similar refurbishment on the dynamo and wiper motor, and cleaned up and painted these along with the ignition coil and horn. The first attempt at starting the engine failed dismally, for a number of reasons. Eventually I swapped the plug leads and distributor cap (though whether this was really the problem I'm not sure), but the main problem turned out to be nothing more than petrol not getting through. The petrol pump includes a hand-operated lever for priming; use it! It's quite obvious when petrol eventually does get through as the pump offers much less resistance. The other probelm was a water leak, caused by the water pump seal being no good. The workshop manual talks about changing the seal which needs a press to do properly; I found an easier solution was to replace with a more modern pump. The Triumph Herald type is a straight swap, though it looks slightly different as the Herald must have a different sort of fan. It doesn't really show though, and has the benefit of a more modern seal so it's basically maintenance-free. I eventually got the engine running in late 2001, though not very well. It would run for a short time and then start smoking badly, and then wouldn't start again until it had cooled down; the spark plugs were also sooting up nicely. I spent the next few months thinking it was probably a combination of timing and tuning, and concentrating more on other jobs, but it wasn't until the car was ready for the road that I actually got to the bottom of it - about which, more follows. Incidently, does anyone know what the timing of these cars should be set to? I have a 1960s book which claims that early Tens were set to 6� before top dead centre, but the workshop manual implies that they're the same as the Eight, i.e. 10�. I think I went with the workshop manual in the end and it seems to work, but it would be nice to confirm whether this is right. 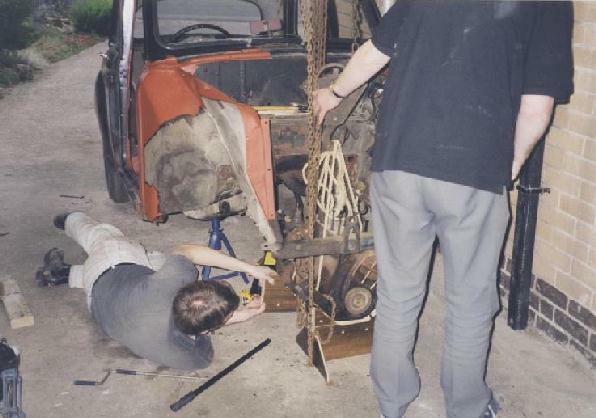 Anyway, steady progress was made throughout 2002 and I was hopeful of having the car ready for the Standard Motor Club's West Midlands area rally in June, and certainly the National Rally in July. Well, June came and went, and the car still wasn't finished, so I booked a week off work before the National Rally and blitzed the remaining jobs, finally driving the car for the first time - to the MOT station - on the Thursday before the rally (the 11th). I had hoped to get the car to the MOT station earlier in the week. They let me down by not doing the MOT until it was too late to get a tax disc (which I needed to go to Nottingham to get), but in any event this didn't matter because it failed, on two counts. Firstly, the brakes, which was ridiculous because I told them they needed adjusting first and when they did eventually do this they were fine - with hindsight it's only a 5 minute job and I should have done it myself. And secondly, the smoke coming out of the engine once it got hot. I'd asked them to fix this too but they had failed to work out what the problem was. At this point all possibility of reaching the National Rally had gone and I gave up and went away for the weekend. A week or so later I nursed the car over to the workshops of the people who rebuilt the engine, they tweaked the tuning for me and then diagnosed the problem as nothing more than a lack of 'running in' and suggested that I put about 50 miles on the clock and then try again. Sure enough, the engine settled down after a few miles and the car passed its MOT at the end of July, and I taxed it at the start of August. (Tax is actually free in the UK for a car of this vintage but you still need a tax disc). I've already mentioned the new headlining and repaired seats. I also had to replace a couple of door trims - these are made from hardboard coated with vinyl, with various fancy patterns on the surface, and would be virtually impossible to make from scratch. Fortunately two of the spare doors I bought had the same style of panel, and I was able to take the panels from the other doors from that set, so I had a full set of spares. However, a couple of them weren't really any better than my originals, but I was able to make up a reasonably presentable set. than the original rubber matting! 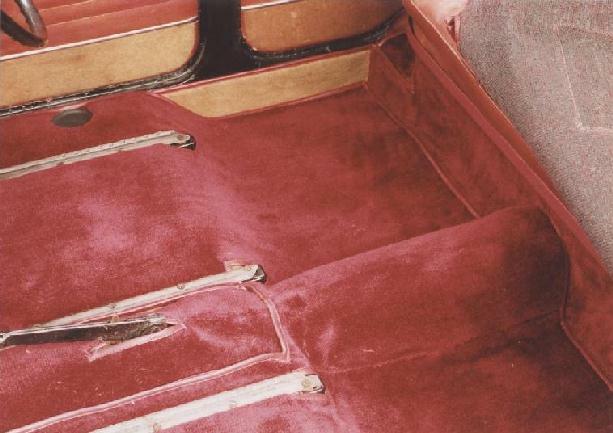 Although it looks good, it would be wrong to pretend that the carpet was a good fit - and this is despite lending the car to the carpet manufacturer for measuring-up purposes. Take, for example, the strip below the back seat, to the right of the photograph; to make it fit I actually had to cut it in half and take a strip out of the middle. With hindsight perhaps I should have just bought the raw materials and made it to measure myself. Anyway, once the carpet was eventually in I found that the seat adjustment worked a lot better; without it the runners obviously didn't quite sit straight. © P. Hetherington 28.06.07. Until 2006 the Standard proved pretty reliable, however in August of that year it failed its MOT with worn front suspension and steering joints - a job which I had put off doing when I first restored the car. 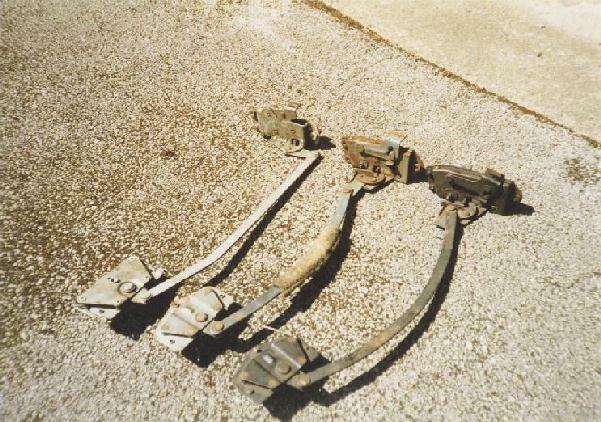 Not having much choice in the matter, the front suspension unit was stripped almost to its component parts, the fulcrums, bushes, trunnions, ball joints and shock absorbers were replaced (except the trunnion bushes, as I couldn't get any but they didn't seem too bad). The tie rod ends were replaced but I decided to leave the rest of the steering alone for now. Everything else was cleaned up and painted, and the whole thing was put back together in a vague attempt to get to some shows in 2007. Unfortunately that didn't happen, as the replacement ball joints had dried out and were too stiff - the steering would not self-centre, so it all had to come apart again and the ball joints were replaced a second time, along with one of the upper wishbones which I'd previously noted had a partially stripped thread where the bush screws in. There was some fun trying to get the new lower fulcrum bushes in particular to take grease, but I got there eventually and the car passed its MOT again in March 2008.